Colleges and universities come in all shapes and sizes. And now that you’ve started receiving your acceptance letters, it’s time to make a final decision. We’ve been there, too, so we’d like to offer some advice to help you make right choice when picking a college. The number of enrolled students can have a direct effect on the number of students in any given classroom or lecture hall. Small schools typically offer students more access to their professors and a more “familiar” social environment. Large campuses on the other hand, typically research universities, offer the opportunity to meet more new people. Schools typically publish their student-to-teacher ratio on their website, and if you know the major you are interested in studying, it may be wise to email the department and ask what the average enrollment is in their classes. No matter how highly ranked a school is, if the field you are interested in studying is not available as a major, it’s probably not the right school for you. If you haven’t already, check the schools’ websites you are considering attending and make sure they offer the course of study that will help you pursue the career you are interested in. But look at more than just the major you are interested in. Roughly 80% of students end of changing their major at least once, so make sure there are other fields you would consider studying if your initial choice turns out not to be for you. A college’s facilities can make a big impact on your overall experience, though you might not realize it till you get there. From science labs and dining halls to libraries and sports arenas, the right offerings can make all the difference when it comes to your college experience. Create a checklist to see which of your potential schools fulfill your wants and needs. Are you interested in commuting to school? Living in a dorm? 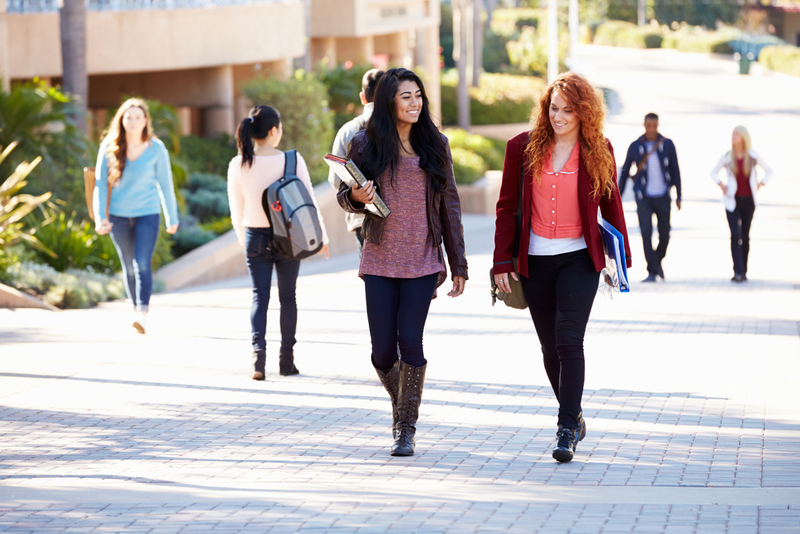 Are there on-campus options for upperclassmen? Do you want to be free and rent an apartment? It’s important to know the answer to these questions when you are researching and visiting potential colleges. You don’t want to live in a city in which the rent is too steep for you and your family to afford, or pick a school that is so far away from home you spend hours on the road every day (that time is better spent studying!). The cost of tuition (and potentially housing) is likely one of the most important things to consider when selecting a school. How much can you and your family afford? Are you willing to take out student loans? Are you applying for scholarships, grants, or financial aid? If you haven’t already, it’s time to sit down and work out a budget. By doing the right research and choosing the right school, even for students on tight budget, higher education can be affordable. This one is important! It’s the whole reason you are going to college, right? College can be expensive, and if you took out any loans you will want to know you’ll be able to pay them off as soon as possible after graduation. Look for job placement statistics on the school’s website and third-party sources, such as US New and World Report. It’s also important to do some research about what sort of alumni network the school has—always a great way to find a job! Now you’ve got the knowledge you need to make your choice! It’s an exciting time and you’ve only got more excitement to come when you step into your first college class. We wish you great success!